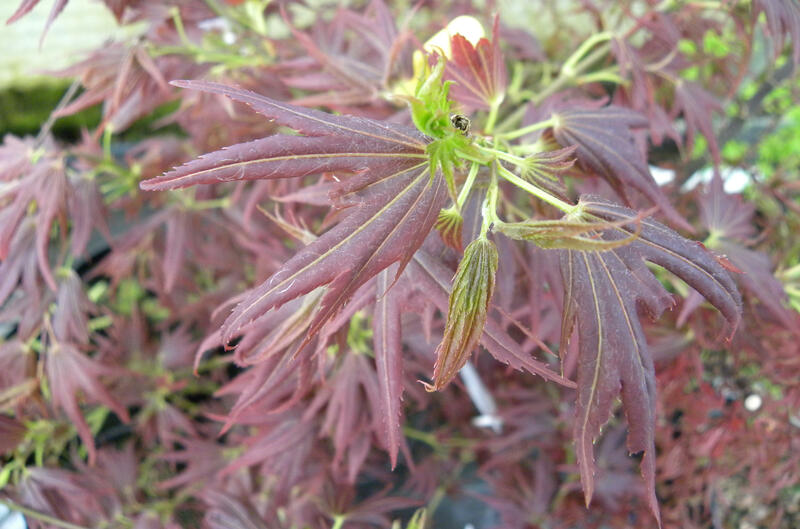 Acer palmatum 'Aratama' a dwarf beauty! 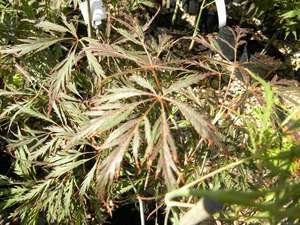 Acer palmatum 'Aratama is a pretty, truly dwarf, compact shrub. 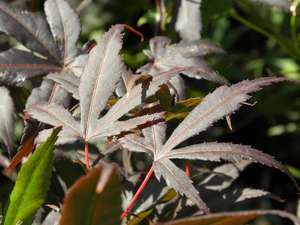 A great variety with showy, light red leaves that turn more and more green - flushed, purple in the summer and bright orange-red in the autumn. 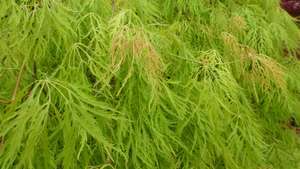 This lovely plant slowly reaches up to 1.5m tall. It makes a very good container plant. 'Aratama' can take on full sunlight. 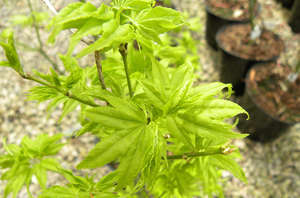 Like all Maples Acer palmatum 'Aratama' doesn't require any pruning routine. Remove any dead or damaged branches. The best time to prune is the late autumn or winter when the plant is fully dormant.